File contains set designs for Neptune Theatre's production of "Cat on a Hot Tin Roof, directed by Brydon MacDonald and designed by Brian Perchaluk. 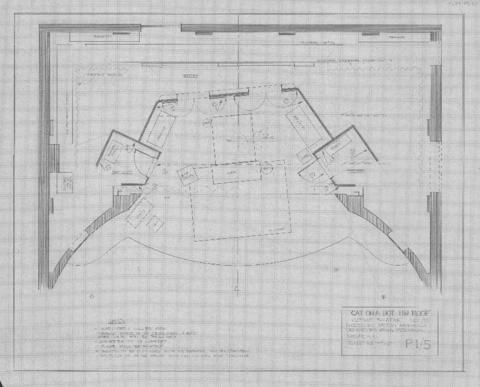 The file includes Perchaluk's original drawings and copies of Bonnie Beecher's lighting plot for the play. The file also contains an annotated copies of pages 1 and 2 of Perchaluk's set design. See the production records for this play in the Neptune Theatre fonds (MS-3-1) under the series "Production records," subseries "Cat on a Hot Tin Roof."